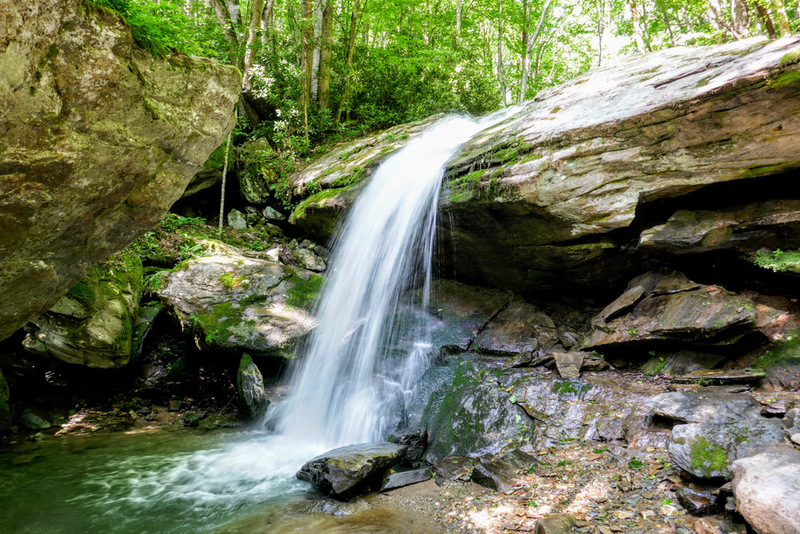 Otter Falls is a nice waterfall and easily accessible via a short hike in the resort town of Seven Devils, NC. 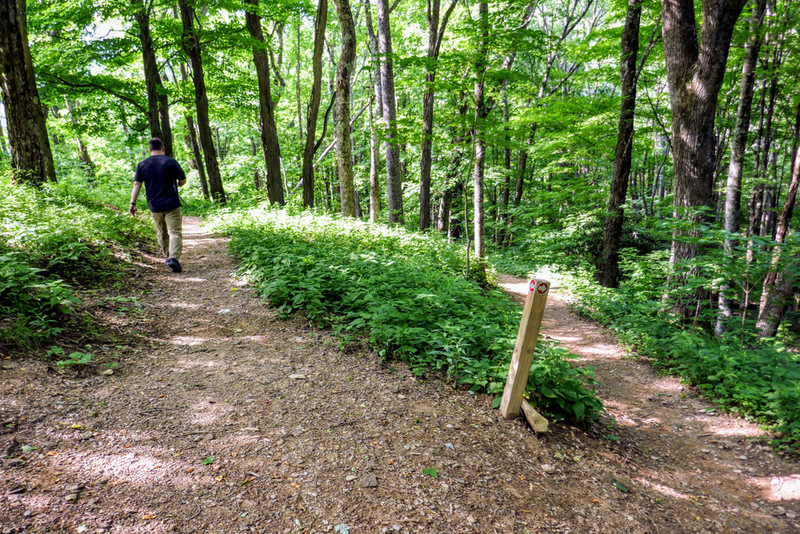 The small recreational park features 4 short trails dropping down into the Valley Creek watershed. 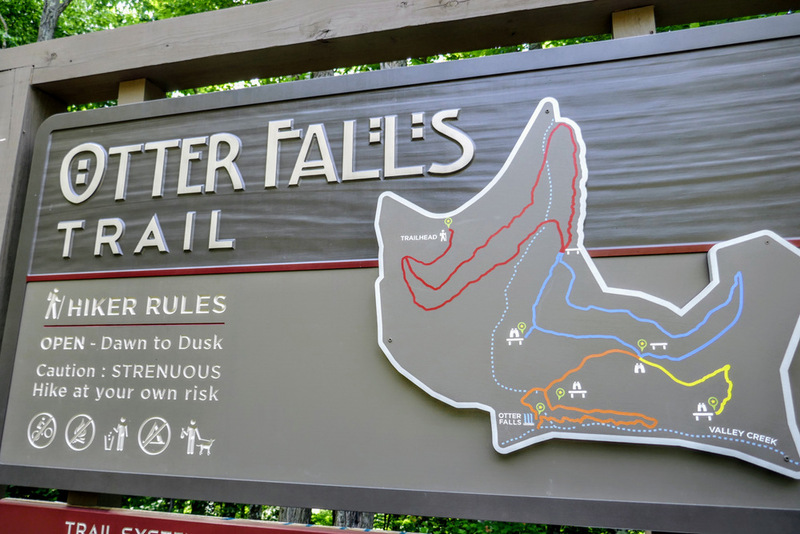 The hike outlined here follows 3 of these trails forming a loop to Otter Falls, skipping the Yellow Trail which dead ends at a non-existent overlook. 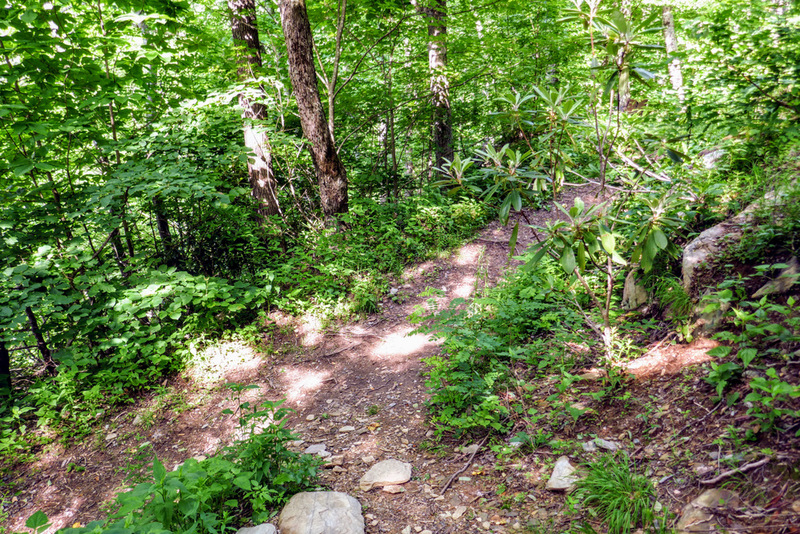 Located close to Boone, Grandfather Mountain, and Banner Elk, this is a great family hike or short stop while you are in the area. 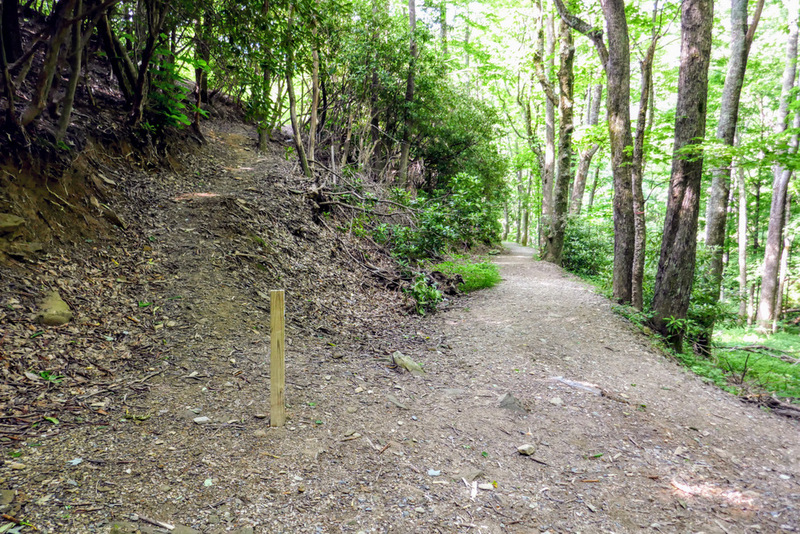 Mile 0.0 – A small parking area for the Otter Falls trail system is located off Skyland Drive. Begin the Red Trail loop and turn left at the split in 100 feet. Mile 0.3 – Intersection of the Red and Blue Trail loops. Turn left following the Blue Trail uphill. Mile 0.4 – Blue Trail loop T-junction with the Orange and Yellow Trails. The Yellow Trail heads left towards a dead end. Turn right onto the Orange Trail and immediately turn left downhill while the Blue Trail loop turns right. 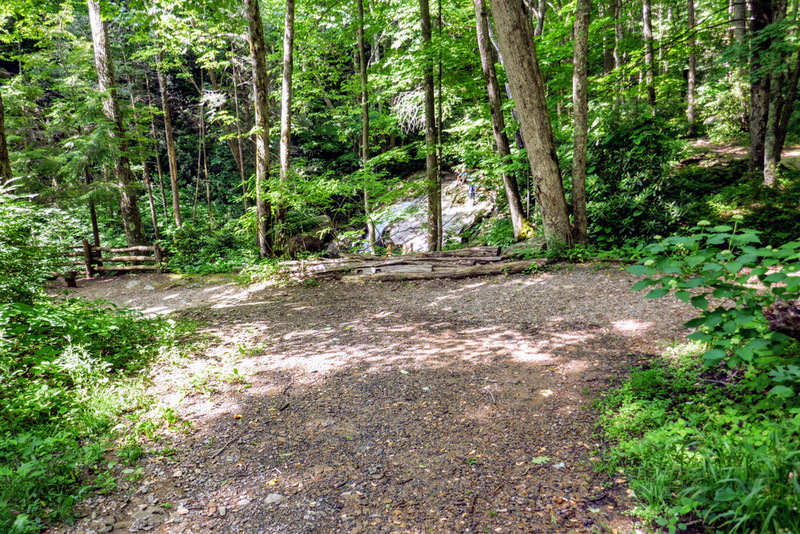 Mile 0.5 – The Orange Trail loop splits at the observation area above the waterfall. 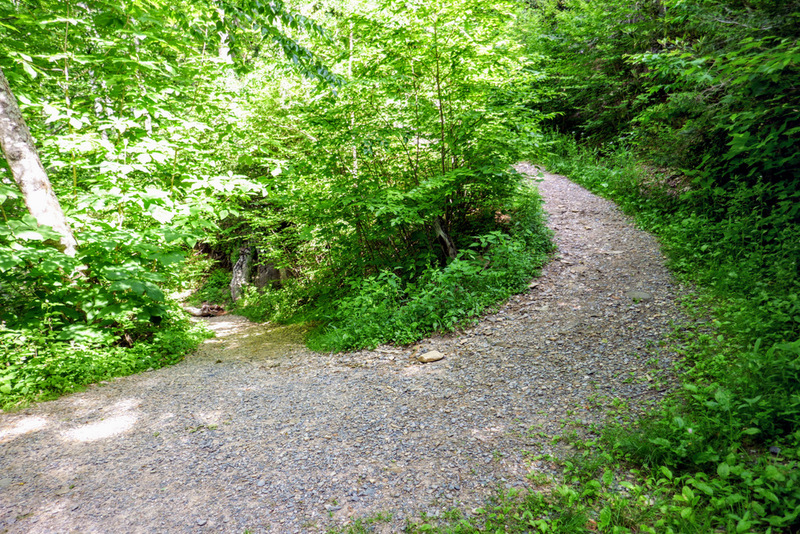 Turn left to take the long way down to Valley Creek. 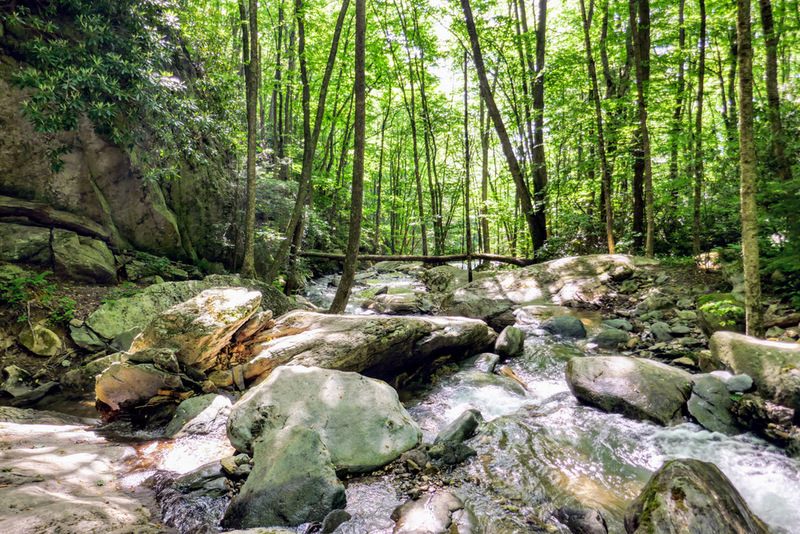 Mile 0.6 – Reach the base of Otter Falls on Valley Creek. This ~20-foot waterfall flows over large overhanging bedrock. 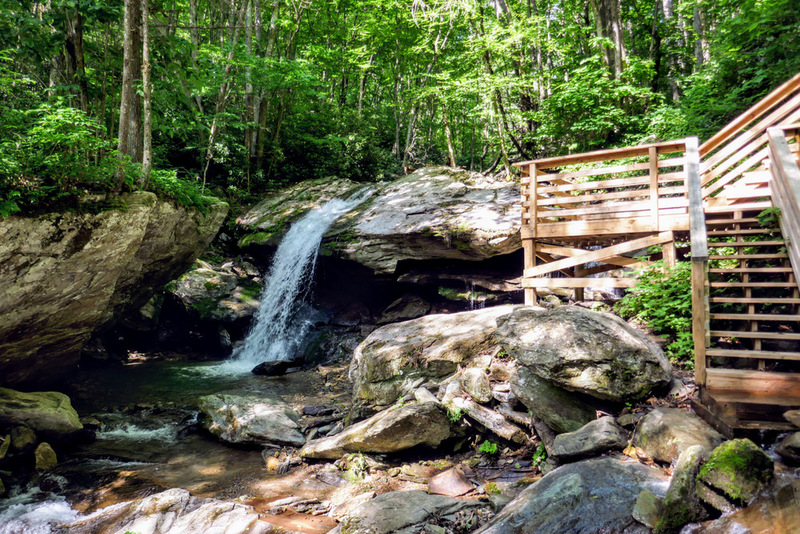 When you are done admiring the falls, follow the stairs up to the observation area. Mile 0.7 – Turn left onto the Blue Trail loop. Mile 0.8 – Turn left onto the Red Trail loop. 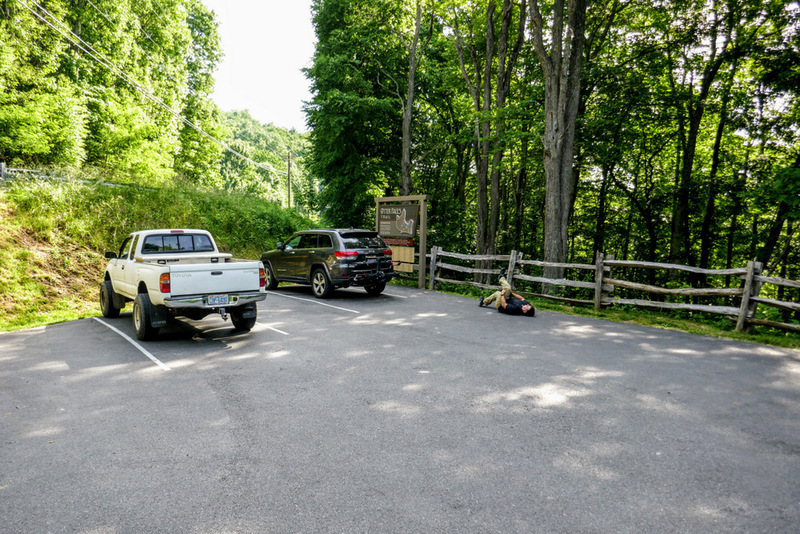 Mile 1.0 – Hike ends at the parking area.